Join any of the ten AOCS Divisions for free! For a limited time only, we are offering free Division membership for the remainder of 2017. Why join an AOCS Division? Divisions not only host events and develop the technical programming at the AOCS Annual Meeting, they also engage in year-round discussions and volunteer activities. Join a Division today to stay up to date with new developments in your area of specialization, and access a remarkable community of scientists, educators, and fats and oils industry leaders who share the most current news and research in their areas of study. If you are interested in joining any of the ten AOCS Divisions, please contact Doreen Berning at doreenb@aocs.org or +1 217-693-4813 by July 31, 2017. Demonstrate your technical knowledge and leadership skills when you contribute to the development of an ever-more vibrant fats and oils scientific community. 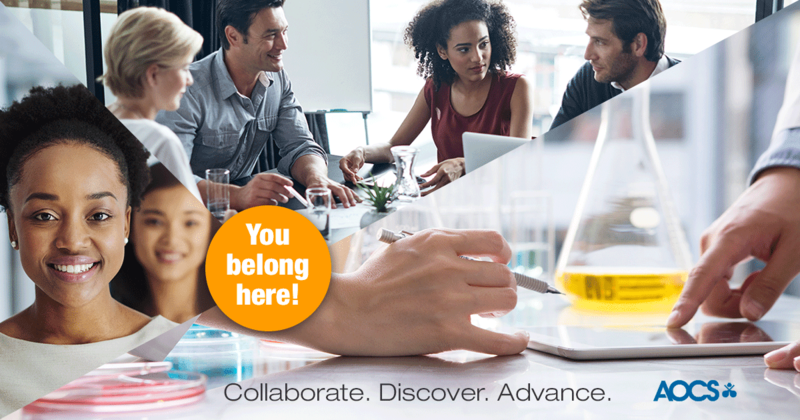 Whether your expertise is in analytical chemistry, lipid oxidation, surfactants, lipidomics, or something related, there is a place for you in the Society. Members of the American Oil Chemists’ Society (AOCS) play an integral role in shaping our industry—we invite you to join. You don’t have to wait until next year. 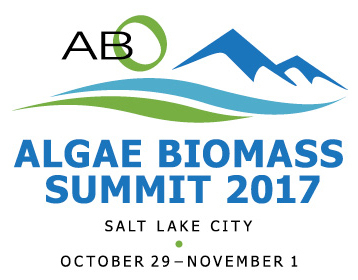 Join AOCS for the remainder of 2017 for $120 (offer ends August 15). Print issues of INFORM magazine to help you stay current on the latest scientific advances, trends, and topics. You'll also have the opportunity to demonstrate your technical expertise and gain leadership experience within an AOCS Division, Section, Common Interest Group, or committee. Be known. Stay current. Make connections. AOCS’ oldest and arguably most newsworthy member, Fred Kummerow, died at the age of 102. Extensive tributes to the life and career of this University of Illinois professor whose lawsuit in 2013 led the US Food and Drug Administration to ban trans fats can be found in The New York Times, the Washington Post, and many other news sources. But, here I would like to share with you some inside stories about Fred’s contributions to AOCS that were passed on to me from George Willhite, the former editor of Inform magazine. Fred Kummerow served as an AOCS board member and as AOCS secretary in 1974. When AOCS offices were at 508 S. Sixth St. in Champaign, Illinois, USA, Fred’s Harlan E. Moore research lab was located at the southwest corner of Sixth and Springfield in a building that was torn down many years ago. Fred remained an active researcher even when his age reached three digits. Over the years I’ve worked at AOCS, I had both the honor and pleasure of having him call me periodically to discuss whatever research project he was conducting. His mind was always sharp, and he always had something interesting to say. Submitted by Kathy Heine, Managing Editor, INFORM magazine. We invite you to attend the 10th AAOCS biannual meeting 'Biotechnology, lipidomics and nutrition'. The program will present the latest science and industry updates relating to edible oil and ingredient supply, lipidnomics, biotechnology, manufacture of fat-based products, nutritional research, oil analysis, latest developments with omega-3 oils, dairy lipids, and other activities that support the industry. The Latin American Congress Organizing Committee has extended the deadline for submitting abstracts until May 31, 2017. 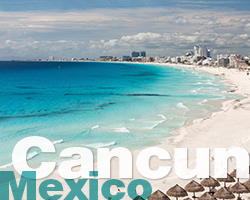 Don’t miss this opportunity to present your research to congress delegates in Cancun this September. Complete submission details are available on the Congress website. Held in cooperation with the AOCS Latin American Section, the Latin American Congress addresses up-and-coming issues around market influences and fosters collaboration among peers from around the world. The conference schedule allows you to easily flow between sessions that cover a wide range of topics. Presentations will be made in either Spanish or English and simultaneous translation is provided. Save up to US $200 when you register now to attend the leading international forum that connects fats and oils professionals, scientists, researchers, and students from throughout the Latin American region and beyond. Registration is open for the leading event facilitating cross-industry collaboration for professionals in Latin America and beyond. 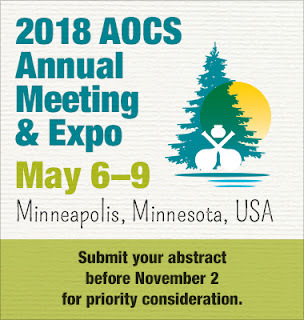 The AOCS Latin American Congress features content specifically tailored to fats, oils, and lipids professionals, and is an opportunity to foster cross-country and cross-industry collaboration. Plan early to maximize registration savings and secure your hotel accommodations at the special Congress rates. 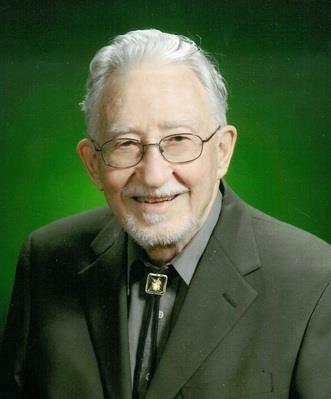 Earl Hammond, age 90, died on May 10 at Northcrest Health Care after a long, productive and rewarding life. Visitation will be at Grandon Funeral and Cremation Care 414 Lincoln Way Ames, Iowa from 5 to 7 pm on Monday, May 15. Memorial services will be at 11 am on Tuesday at First Baptist Church 200 Lynn Avenue, Ames, Iowa. Earl was born in Terrell, Texas on November 21, 1926, to Joseph Carroll Hammond and Kate Gullette Hammond. He attended and graduated from Terrell schools, then went on to the University of Texas at Austin, where he received his BS and MS degrees in chemistry. He continued his studies at the University of Minnesota where he received a PhD in biochemistry in 1953. With an offer from Iowa State College, he moved to Ames where he taught cheesemaking and food chemistry, and did research on fats, oils and lipids for the next 50 years. He officially retired in January 2003, but continued to do research and work with students until 2014. While a student at the University of Texas he got called into the army in 1946. He served for one year in New York and Washington. He returned to Austin, and was working on his M.S. degree when he met Johnie Wright at the University Baptist Church. Following a long courtship, they were married at University Baptist Church in Minneapolis on September 17, 1951. After completion of their degrees they moved to Ames where they have spent the rest of their lives. Earl was an active member and frequent teacher at First Baptist Church. He was a founding member of Story County Housing and Ames Ecumenical Housing and contributed his time to providing affordable housing for low-income families. He also loved to play recorder and played in small groups for many years. Earl and Johnie enjoyed international travel and frequently took along one of their grandchildren when they visited other countries. Earl's research on lipids was awarded honors on several occasions by the American Oil Chemists Society as well as international honors including an honorary doctorate degree from the University of Olzytin, Poland. His work has resulted in over 30 patents and is used in several commercial products. What he loved the most was the opportunity to work with and guide the research of graduate students from all over the world. His love of science and chemistry was reflected in the microscopes and chemistry sets his children received for Christmas. Earl is preceded in death by his parents as well as his brothers Frank Hammond and Joe Hammond. He is survived by his wife Johnie Hammond of Ames, Iowa, his son Bruce and wife Darla Hammond of Port Saint Lucie, Florida, his daughter Linda and husband Bruce Hanson of Ames, Iowa, his daughter Pam and husband David Fuchs of St. Louis, Missouri, and son Christopher and wife Sandy Hammond of Richardson, Texas, as well as eleven grandchildren and 6 great grandchildren. The family asks that in lieu of flowers, that contributions be made to the Story County Community Housing Corporation, 130 S. Sheldon. Private burial is in Iowa State University Cemetery.